The Jersey Man OnLine - On this page you can see all the jerseys in stock. Click on the link below. If you see a jersey here ... and want it ... use the "contact us" page and send me an email to arrange purchase and delivery or send text message to 443-621-6209. 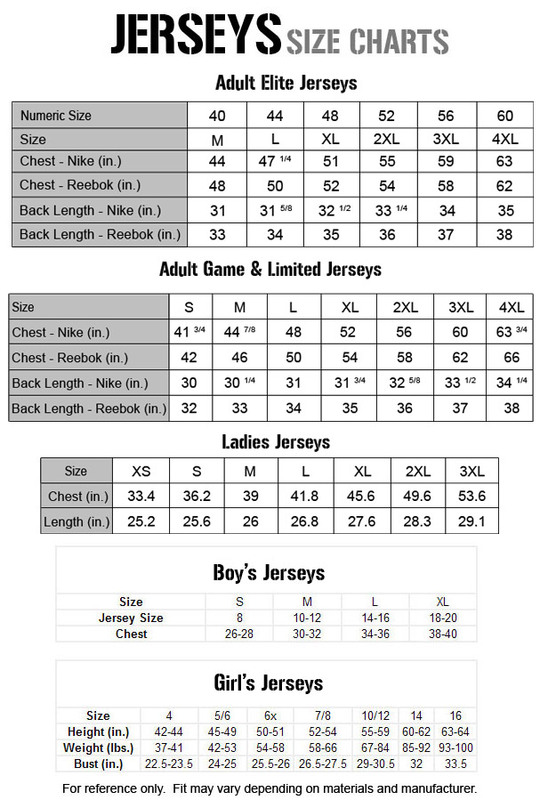 NIKE STYLE JERSEYS See size chart (click on link). Text (443-621-6209) or email today! On this page you can see all the jerseys in stock. Click on the link below. If you see a jersey here ... and want it ... use the "contact us" page and send me an email to arrange purchase and delivery or send text message to 443-621-6209. See size chart (click on link). Text (443-621-6209) or email today! Use the "contact us" page to send an email stating the player name, color and size. I will email you a confirmation or reply. STOCK JERSEYS available for immediate pickup. stock jerseys must be picked up or scheduled for pickup within 24 hours or they will be returned to stock for sale. NO returns; cash at time of delivery, please. Jerseys are not returnable if jersey doesnt fit you because you ordered the wrong size.